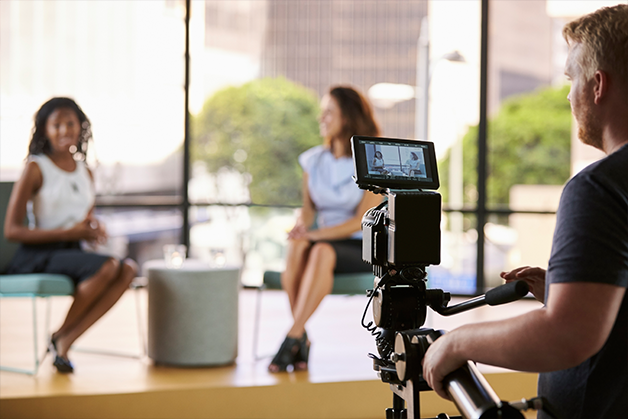 In 2018, it’s no surprise that one of the top ways companies have harnessed the power of digital is through live broadcasting. People’s priorities have shifted, resulting in a strong desire for a more connected world — so we’ve come to favor this type of up-to-date communication to always keep us informed, involved and excited to be part of something bigger than ourselves. With many existing and already well-established audiences on the internet, it makes sense to use live broadcasting to tap into people’s values in an entertaining way. Another aspect of this form of communication is how much people value visual experiences. Video broadcasting is more engaging than standard video and allows the opportunity for live feedback and for the audience to participate. At the same time, the experience is also inclusive and continues to build your brand’s community. The best part? Live broadcasting is cost-effective and you don’t have to be a seasoned pro to start becoming involved or sharing what your business values with the public. Show what your corporate meeting is all about, by letting your employees do a digital takeover and provide commentary with their attendance to an important meeting that helps express your company’s values. Recognize employees further by hosting a live feed of their achievements for their network, friends and family members to view from virtually any location. People will feel like an insider and will feel compelled to promote your company or brand to new markets. This could be anyone that will communicate your company’s message – a client, an influencer or even one of your employees that is able to share some valuable insight to your audience. Promote your company’s thought leadership or sense of community by bringing them all together through an interactive feed that starts a conversation. Got an important issue or charity that your business holds near and dear? What better way to engage your audience than to talk to them! Talk about what issues are current in your industry or gain real-time feedback from customers or employees who have thoughts on an issue. Create some chatter before the event by amping up your audience and placing your company top-of-mind with frequent reminders of when and where they can tune in. So you may not have space, time or money to host a huge corporate event, but you are having a speaker host a small gathering you want to reach a larger audience. Live broadcasting can help create a larger-than-life experience – it can provide the opportunity for your audience to gain exclusive knowledge or be included as part of a team. Be sure it’s possible to encourage live communication between the online audience, live audience, and host(s). Lift the curtain behind where all the magic happens – provide your audience with an exclusive look into the everyday culture of your workplace. Whether it’s an office tour, people in their natural work environments or a set of daily rituals you and your employees have, it’s all relevant to show your audience you’re human and make them feel part of something bigger. Live broadcasting can give your company the boost it needs to grow and reach new and underserved audiences. With these 6 content ideas, you can look like a pro and showcase your business with confidence to generate new and exciting business opportunities.